January 28, 2010 March 22, 2010 - by Avia Venefica - 12 Comments. Native American wisdom marries every full moon in a month with a specific feature in Nature. These moon associations will vary depending upon the tribe we are honoring. This month, January is deemed the Wolf Moon or Cold Moon by various tribes indigenous to the Great Lakes region of North America. It’s been a tough month for some of us. I thought it fitting to toss out some symbolic observations about the January Wolf Moon with a goal to offer inspiration to folks facing some challenges right now. Before blasting off into Wolf Moon symbolism, let’s take a look at lunar implications. Subtle, cunning and soft in silky shadows, the moons meanings can be slippery. But, to those who grasp moon symbolism, great insights follow. Typically feminine in archetypal understanding, the moon carries themes of cycles and fertility. Moreover, the moon conveys a kind of creativity that is born from veiled magic. Consider the moon’s growth cycles (waxing, full, waning, new). These phases are wrought from the moon’s movement. And, the manifestation of her development is made known to us through light and shadow. What’s the symbolic lesson here? Progress is sometimes subtle. Manifestations of evolution often occur behind the scenes, in shadow – before we “see the light” or the end-product of our vision. When contemplating this month’s full moon and its partnership with the Wolf, we must not cram our intellect into the void. Rather, the Wolf Moon asks us to use intuitive instinct in soft ways. The gifts of this full moon come to our senses like steam rising over sacred waters marbled with frosty stillness. Strategic, resourceful and incredibly communicative, the Wolf is a noble mentor for humankind. Wolves have specific protocol and rank within their packs. This observation is a cue to look to community for creative solutions during this full moon. Communicate with those in your pack to help you with your challenges. But don’t break taboo. If you follow specific traditions in social communication, hold to them. In fact, use this full moon to honor traditions of your heritage. Take time to honor your elders too. Tribal rituals should be heeded this time of year. Wolves are vastly expressive. Sure, their vocalizations (baling, howling and barking) are legendary, but Wolves also have an complex system of body language and even eye contact to convey intent and current state of being. Discipline in the pack is rarely corporeal. Rather, behavior is admonished or reinforced by intricate expressions. One look from the Alpha can convey as much power as a physical blow. There’s big medicine in this. 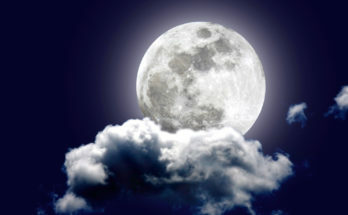 Use this full moon to get in touch with your own modes of expression. Explore your own eye contact and body language. Examine yourself in the mirror (yes, I’m serious) as you’re talking on the phone. View yourself objectively. 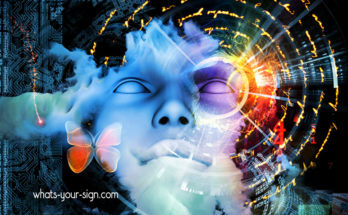 What are your expressions conveying? How can you modify or enhance your body language to portray more authority or power? Or, perhaps more softness and sensuality is needed. Too often we are unconscious about our eye and body movements in the scheme of social interaction. This is a great time to ponder these nuances of communication. Wolves are also phenomenally resourceful. In fact, their resourcefulness is partly why this moon carries the Wolf moniker. January is a brutal month in the northern regions. The frigidity of winter crunches life to a stand-still in the wild. To be sure, it’s a time of “sink or swim” to all wildlife exposed to the elements this time of year. Wolves, however, often thrive during this lean month. They are designed to handle the brutality of cold quite well. Furthermore, as Wolves are inclined to pick off weaker animals, January offers up a host of feasting options. Perhaps we can use the resourcefulness of the Wolf to reconsider our options in life. Maybe what seems bleak or lame in our life is actually an invitation for opportunity. Food for thought. I hope these symbolic ideas about the cold Wolf Moon inspire you to take advantage of January’s lunar fullness. 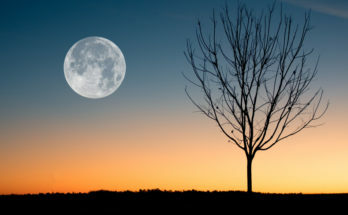 Take a pause on the evening of this month’s full moon to contemplate your own inner wisdom too. I bet your findings will be illuminating. 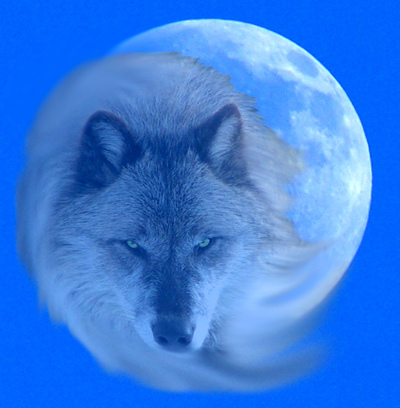 The image above was created by Avia Venefica using her moon photo, and a Wolf image from Dennis Matheson on Flickr (used with permission via Creative Commons). Do You Have the Feeling You’re Being Watched? I honestly im thinking of getting this tatted on me so this symbolism really helped me to apply it in my life! I loved every word! Thank you for this interesting and insightful revelation! I love full moons as well as wolves and have a wolf as spirit animal, a black one that can often be seen with me by psychics. How strange. I am a Capricorn and wolves have always been a talisman. Their kin, my companions, as shepherds have been my absolute preference. My 11 year old fur girl is lying near by as I type this. My birthday was the 11th and the wolf moon was waxing full. For the last few nights it has shone brightly through my windows. In the early morning hours of the 11th we had a severe nor’easter wind that cut off electric power, yet I was able to see in the dark due to the light of my wolf moon. I found candles and flashlights because I had moonlight streaming in to guide me. What is so peculiar to me is that I just saw a post of that most beautiful moon arising over our island and they called it the “wolf moon.” I had never heard that term before and my curiosity lead me to this site. It would appear that even though I did not call “wolf moon” by her name she was always calling to me: through my fur friends, the photos and pictures on my walls, the books on my shelves, the imprints on my checkbook and the commitment in my heart to defend their rights to live and thrive here because they preceded us and they deserve our supreme respect and ultimate protection. We must learn balance or perish. Regardless the moon will shine in all her splendor and by all her names. I am happy “Wolf Moon” is my birth moon and my moonstone jewelry will now become my Wolf Moonstone. It will remind me that fierceness and beauty, power and commitment, freedom and pack, intellect and instinct are interwoven. Thanks for the article and thanks Patricia for the comment. Real nice share.